Some states have a rich tradition of turning out terrific sports players. Texas and Florida are renowned for the athletes they bring into the world of football. Indiana has a rich basketball tradition (Hoosiers!) and California is, well California. Be it football, basketball, baseball or just about any other sport (except maybe hockey) the Golden State has turned out more than it's share of sports stars. So what about Wisconsin? More specifically, what about Wisconsin born players contributions to the world of Major League Baseball? I'm glad you asked, here is your pro baseball All-Wisconsin team. Catcher - Damian Miller - Born in La Crosse, Miller went to West Salem high school and is the backstop for the All-Wisconsin team. He bounced around for much of his career, playing for five teams in 11 seasons. Miller came into the league with Minnesota and finished with the hometown Brewers. He made his debut in 1997 and played his last game in 2007. For his career Miller hit .262 with his best season coming in 2001 he hit .271 and drove in 47 runs for the Arizona Diamondbacks (and won the world series). Miller's final three years with the Brewers were mediocre at best but being a local boy he was instantly popular among fans. First Base - Ed Konetchy - The pickings were slim for Wisconsin-born first baseman, so the best of the bunch falls to Konetchy. Born in 1885, he made his major league debut with St. Louis in 1907. Over a 15 year career he batted .281 and drove in 992 runs. Not much of a power hitter though, Konetchy never hit more than 11 home runs in a season, for his career he had 74 long balls. He played for six teams in his career, the St. Louis Cardinals, Pittsburgh Pirates, Pittsburgh Rebels (who only existed for two seasons), Boston Braves, Brooklyn Robins (who would ultimately become the Brooklyn Dodgers then the Los Angeles Dodgers) and finished his career with the Philadelphia Phillies. Konetchy played his last game in 1921 and died in 1947 in Ft. Worth, TX. Second Base - Jim Gantner - Of course Gantner makes this list. Born in Fond du Lac, Gantner sweetens the pot by attending the University of Wisconsin-Oshkosh. He debuted with the home team Milwaukee Brewers in 1976 and spent his entire 17-year career with the Crew. Gantner was a career .274 hitter while manning second base for the Brewers only World Series run. He is third on the franchise list for career games played, fourth in runs scored and fourth in hits. Gantner played his last game in 1992 but still is a regular face at Miller Park. Third Base - Joe Randa - Longtime Kansas City Royal, Randa takes the third base spot. Born in Milwaukee and a graduate of Kettle-Moraine High School in Wales, he played 12 seasons in the big leagues. Randa debuted in 1995 with KC, leading off a career in which he hit .284. Randa's best career year came in 2000, when he hit .304 with 15 home runs and a career high 106 runs driven in. He played his last game in 2006 with the Pirates. For his career he slugged 123 home runs and drove in 739 runs. Randa was never great, but he was always solid. Shortstop - Harvey Kuenn - It's easy to forget, because most don't realize it, but Harvey Keunn was a pretty good player before he moved into the front office. 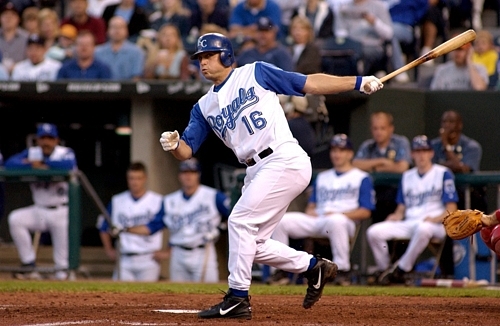 Kuenn played 15 seasons in the major leagues. He was born in West Allis and went to the University of Wisconsin-Madison. Kuenn made his debut in 1952 with Detroit but took off in 1953 when he won the Rookie of the Year award and finished 15th in MVP voting; Kuenn had 209 hits that year and batted .308. For his career he finished over 2000 hits, over 350 doubles and 951 runs scored. Kuenn played his last game in 1966 and became Manager of the Brewers on two separate occasions, first in 1975 and then again in 1982-83 when Harvey's Wallbangers made the World Series. He died in 1988 in Peoria, Arizona. Left Field - Al Simmons - Born in 1902 in Milwaukee, Simmons might have been the best fielder that the state of Wisconsin ever produced and maybe the best player. 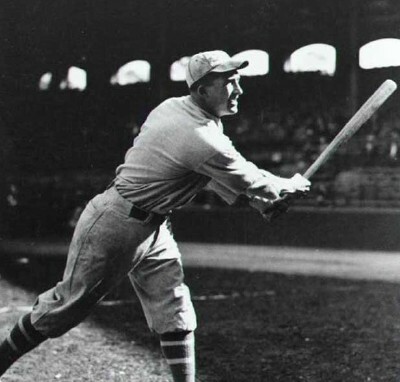 He made his debut in 1924 with the Philadelphia Athletics and had 183 hits that season. He followed that campaign up with a 253 hit season that still stands as the fifth most in baseball history and the most every by a right-handed hitter. That season Simmons had 253 hits he batted .387, one of three seasons he batted over .380. 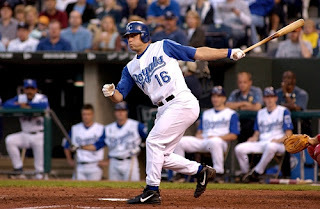 He finished top 5 in MVP voting four times in his career and had runs scoring seasons of 144 and 152. His career batting average finished at .334 over 20 seasons. Simmons had 2,927 hits, just shy of 3,000, but slugged more than 500 doubles and more than 300 home runs. He played his last game in the big leagues in 1944. Simmons was elected to the Baseball Hall of Fame in 1953, he died three years later in Milwaukee at the age of 54. Center Field - Ginger Beaumont - Figuring out the outfield positions might have been the toughest, but when you stumble across a player with a name like Ginger Beaumont and listed as a center fielder you take notice. Beaumont was born in Rochester, Wis. in 1876 and attended school at Beloit College. He made his major league debut in 1899 with the Pittsburgh Pirates. Beaumont had a solid career, but not spectacular. He was a career .311 hitter over 12 major league seasons. His best year came in 1903 when he batted .341 with 137 runs scored. Beaumont had 209 hits that season, his runs scored and hits led the National League that year. Beaumont played his last game in 1910 as a member of the Chicago Cubs. He died in 1956 in Burlington, Wis. Right Field - Andy Pafko - Born in 1921 in Boyceville, Pafko takes the right field spot on the All-Wisconsin Team. He made his debut with the Chicago Cubs in 1943 and played 17 big league seasons. Pafko was the definition of a role player, playing a role on four World Series teams including the 1957 World Champion Milwaukee Braves. His best seasons came as a member of the Cubs however. Pafko twice drove in more than 100 runs with Chicago and he hit 36 home runs in 1950. His best claim to fame though, might be the fact that he was playing in Left Field when Bobby Thompson hit the famous "shot heard round the world." Pafko played his last game with the Milwaukee Braves in 1959. His last appearance in baseball was when he sang "Take me out to the Ball Game" at Wrigley Field in 2008. Starting Pitcher - Kid Nichols - There won't be a modern player among them but you can't go wrong with a trio of Hall of Famers for your starting pitching selections. Taking the lead is the Madison born Charles Augustus Nichols, otherwise known as Kid. Nichols is one of those names you think of when the history of the national pastime, maybe not on the level of a Rogers Hornsby or Tedd Williams or Cy Young but it harkens to a different era. Nichols made his Major League debut in 1890 as a member of the Boston Beaneaters. In his 15 seasons he won 361 games, breaking the 30-win mark seven times. A different era, a different game. Nichols played his last game in 1906 at the age of 36. He was elected to the Hall of Fame in 1949. Kid Nichols died in 1953 in Kansas City at the age of 83. 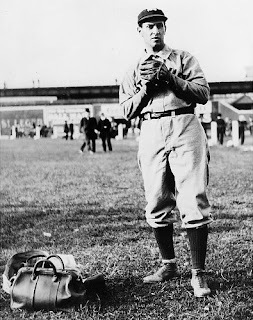 Starting Pitcher - Addie Joss - The second of Wisconsin's Hall of Fame pitching trio is the dominant Addie Joss. Born in Woodland, Wis. Joss attended to the University of Wisconsin-Madison and made his Major League debut with the Cleveland Bronchos (who would become the Cleveland Naps, then the Cleveland Indians) in 1902. In his nine seasons he won 160 games and had an ERA of 1.89. He pitched the fourth perfect game in baseball history but had his career cut short by disease. He died in 1911 in Toledo, Ohio of tubercular meningitis. Despite the abbreviation of his career he was elected to the baseball Hall of Fame in 1978 by the Veteran's Committee. Starting Pitcher - Burleigh Grimes - The player known as "Ol' Stubblebeard" because he never shaved on days he pitched, Burleigh Grimes was born in Emerald in 1893. He made his big league debut in 1916 with the Pittsburgh Pirates and went on to win 270 games over 19 seasons. What he might be best known for though is being the very last pitcher in baseball to legally throw a spitball. When the pitch was banned in 1920, Grimes was one of 17 veterans to be allowed to continue to throw the pitch. 14 years later when he threw his last pitch, he was the very last of those 20 still in the game. Grimes was also reputed to have what some would call an ill temperament. Grimes once threw at a batter warming up in the on-deck circle. In 1964 he was elected to the Baseball Hall of Fame by the Veterans Committee. Grimes died in 1985 in Clear Lake, he was 92. Closer - Bob Wickman - Hey, look at that, Bob Wickman makes the list. The Green Bay native and former University of Wisconsin-Whitewater pitcher, Wickman is hands down the best closer to come out of the Badger state. He made his debut with the New York Yankees in 1992 as a starter but moved to the bullpen in his sophomore season. 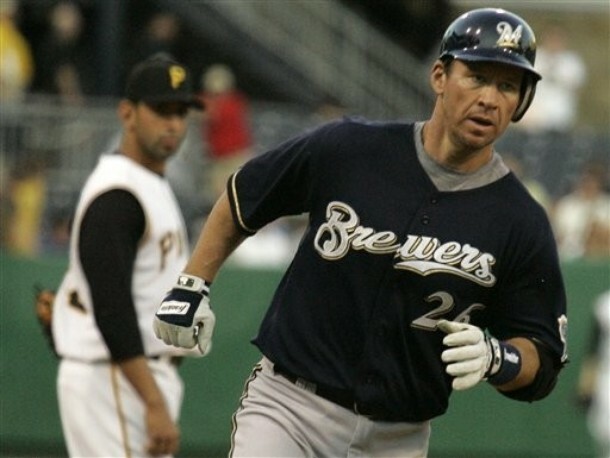 Wickman became a full-time closer in 1998 with the Brewers, saving 25 games that year. Wickman would remain a closer for a number of years after, leading the American League with 45 saves in 2005 and finished his career with 267 saves over 15 seasons. He was no Mariano Rivera but somehow Bob Wickman got the job done for a somewhat surprisingly long time. Wickman last pitched in 2007. There you have it. The best that Wisconsin has had to offer the sport of baseball. Not a great group, but not a bad one either. And of course much love must go to the ever useful Baseball Reference for making this post possible. And I say bring back the spitball! Certainly you could go with a four-man or five-man starting rotation for the All-Wisconsin team. How about Racinians, Shane Rawley and Duane Kuiper?